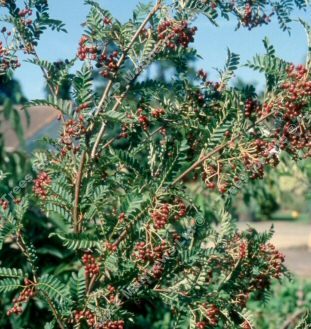 Pseudovilmorniii (Sorbus 'Pseudovilmorinii') is an exquisite little tree similar to the Vilmorin Roana, but less vigorous. The leaves are finer and more delicate, the fruit a similar attractive deep rose-red and the fruiting habit is more abundant. Raised at Ness from seed collected in Yunnan, China.